The Mansion at Noble Lane is owner Monique Greenwood’s dream come true. She fell in love with the decaying estate in 2011. After a year of painstaking restoration, the revitalized jewel is a destination boutique resort where your own dreams will be reawakened. A native Washingtonian, Monique has spent most of her adult life in New York City and counts decorating, watching a shameless amount of HGTV, community building and spoiling guests among her personal passions. After more than two decades of magazine publishing, which culminated with the editorship of Essence magazine in 2001, Monique traded in her writing pen for a spatula and fully committed to the hospitality industry. In 1995, she and her husband Glenn Pogue opened Akwaaba Mansion, an upscale bed and breakfast in Brooklyn, New York. 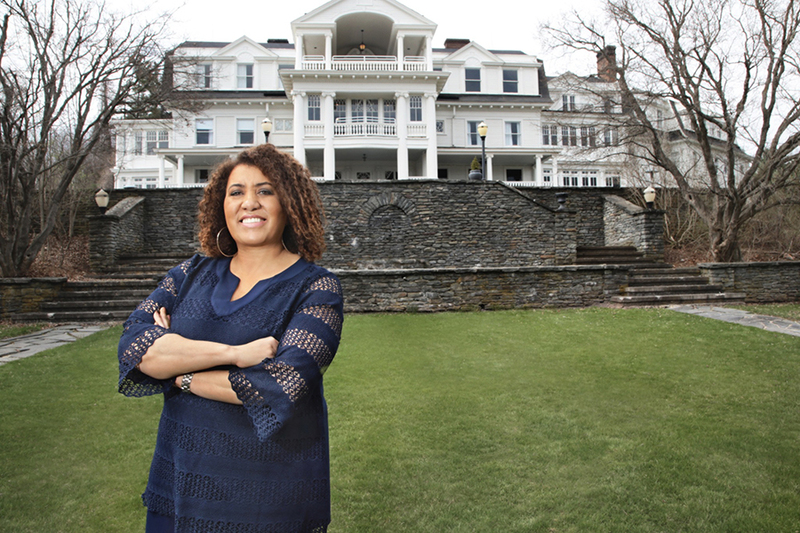 Since then, the best-selling author of the book “Having What Matters” has added five more inns to her award-winning Akwaaba Bed & Breakfast Inns collection. Current locations are in Brooklyn, New York; Washington, DC; Cape May, New Jersey; and the Poconos in Pennsylvania. Monique and Glenn married in 1989 and are the proud parents of Glynn, a Howard University/New School MFA grad and promising writer, who Monique not so secretly hopes will one day join her mission to help people take their joy off of layaway. The family is currently starring in a new docuseries called CHECKED INN, which airs on OWN: The Oprah Winfrey Network.